Read a Key Reporter interview with Laura Dassow Walls. 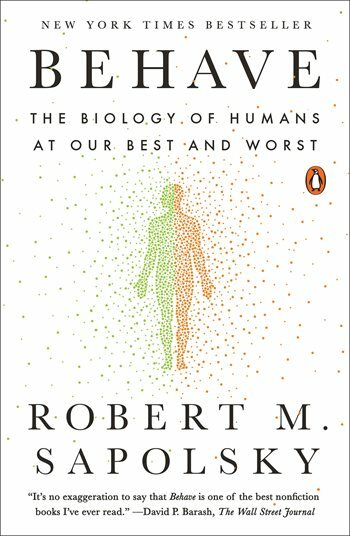 Read a Key Reporter interview with Robert Sapolsky. Read a Key Reporter interview with Mike Wallace. The Phi Beta Kappa Book Awards are given annually to outstanding scholarly books published in the United States. Winning works, which are drawn from the fields of the humanities, the social sciences, the natural sciences and mathematics, must be of broad interest and accessible to the general reader. Each award carries a $10,000 prize and acceptance at the Annual Book Awards Dinner. The winners were selected by panels of experts who reviewed five short-listed titles in each of the three award categories. See the 2018 Short List. The Book Awards Dinner was held at the Carnegie Insitution for Science on December 7, 2018 in Washington, DC. ΦΒΚ Secretary/CEO Frederick M. Lawrence was the evening's master of ceremony and discussion moderator. Participating in a lively Q&A session were Mike Wallace, author of Greater Gotham: A Histroy of New York City from 1898 to 1919, and Dr. Laura Dassow Walls author of Henry David Thoreau: A Life. Dr. Gregory Petsko, a member of the Phi Beta Kappa Award for Science selection panel, stood in for Dr. Robert Sapolsky, author of Behave: The Biology of Humans at Our Best and Worst. You can watch the discussion below. 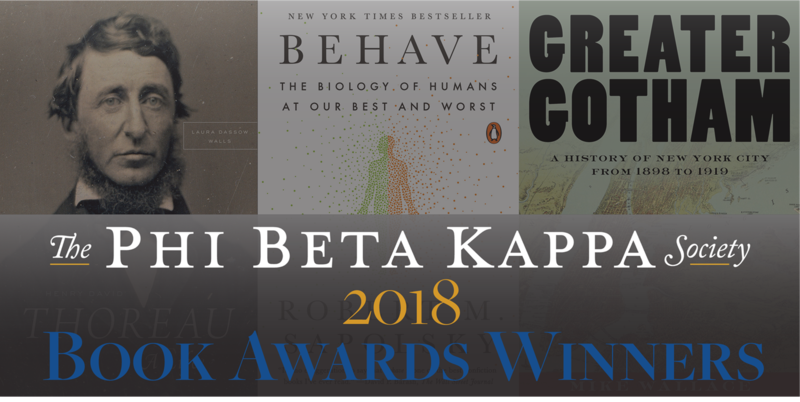 A review of Behave: The Biology of Humans at Our Best and Worst is featured in the Phi Beta Kappa magazine, The American Scholar. 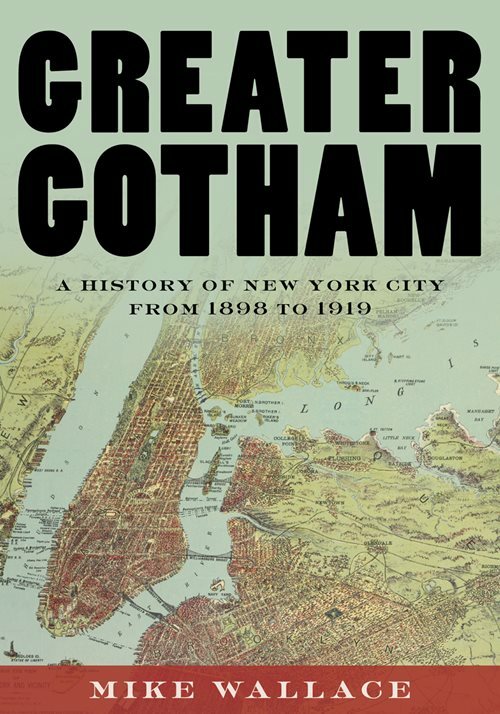 Reviews of Behave: The Biology of Humans at Our Best and Worst, Greater Gotham: A History of New York City from 1898 to 1919, and Henry David Thoreau: A Life are featured in the Phi Beta Kappa publication, The Key Reporter. 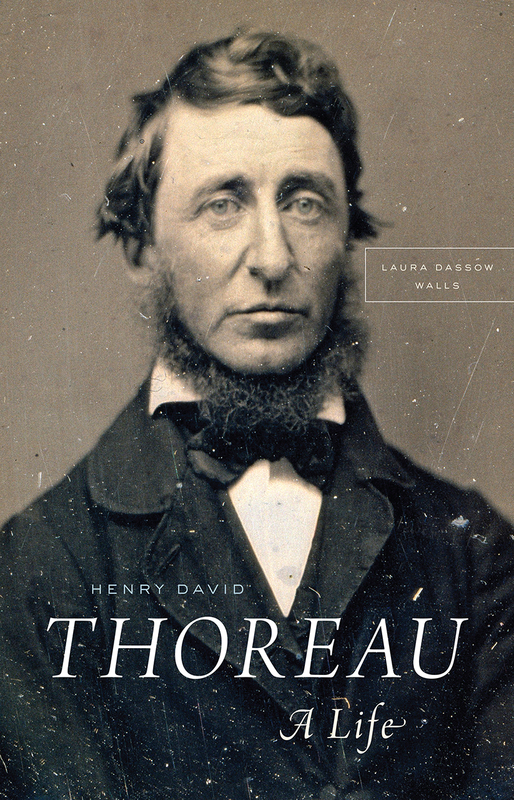 An excerpt from Henry David Thoreau: A Life appears in Humanities managzine. with any inquiries or call (202) 745-3287. All nominations must be submitted by a publisher. Publishers seeking to nominate a book for the 2019 cycle can find more information here.